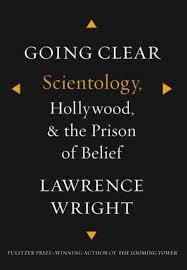 Once in a while you pick up a book that just literally blows you away, and for me, Going Clear is one of these. From the first words through the last, I have to say I was completely mesmerized and well entrenched in this page turner of a book -- even missing a day on a Maui beach to finish it -- some of the stuff in here is so unbelievable that you just know it has to be real. If you're an ardent Scientologist, you probably won't want to read this book, but for anyone who's interested in looking at this group's origins, the life of its founder, its beliefs and the goings on within, it's a definite must read. Now added to my favorites list for 2013, Going Clear is an outstanding work of investigative journalism, made even more believable by the author's focus on maintaining a balanced presentation, including comments from the Church of Scientology's leaders, attorneys, and meticulous fact finding and fact checking. I'll skip to my usual ending and recommend it highly right up front. The author was, in his own words, "drawn to write this book" based on a number of questions many people have regarding Scientology: what makes it so "alluring;" what its adherents gain from it; how "seemingly rational people" can subscribe to beliefs that most people would see as "incomprehensible;" why celebrities and other "popular personalities" get themselves involved when the end result is a "public relations martyrdom;" etc. The book starts out with a look at the life of L.Ron Hubbard, a science-fiction writer who ultimately became the founder of this religion/cult/organization whatever you want to call it, the beliefs it is founded on and espouses, and its growing popularity. Then Wright spends some time on just how Scientology came to acquire religion status with the IRS -- an ugly story that will cause you to shake your head in total disbelief, -- and how even the FBI couldn't shake down this organization despite its illegal maneuverings and activities because no one would speak up. He also examines the Hollywood celebrities and other well-known people who embraced Scientology and how the head of the organization came to woo them for monetary gain and as a lure for new members, and finally, he examines why people are reluctant to leave the organization and the experiences of those who managed to "blow." Throughout the book he also examines "the process of belief," not just in terms of Scientology, but in other religions as well. He's done an amazing amount of meticulous research, and his narrative is based partially on people who got out of Scientology and had plenty to tell, although as I noted above, he gives equal time to Scientology's array of attorneys, some of the organization's own documentation, and to the people high up in the movement. There is no adequate way to summarize what's in this book ...it's definitely one you must read for yourself. All I can say is that you will likely be blown away by its contents and by Wright's magnificent reportage. Granted there are a few tedious spots centering around Tom Cruise which probably could have been left out because frankly, he's just not that interesting of a person, but overall, it's one that should not be missed whatsoever. Definitely prizeworthy, it will keep you absolutely astounded throughout the entire book.